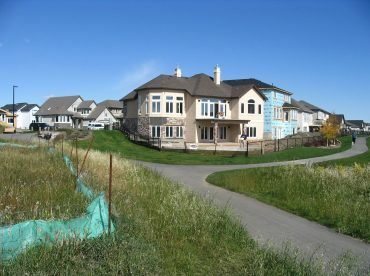 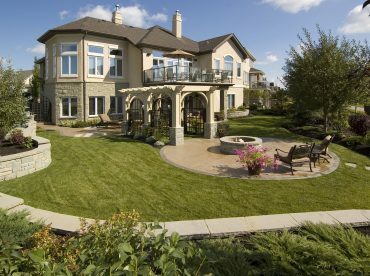 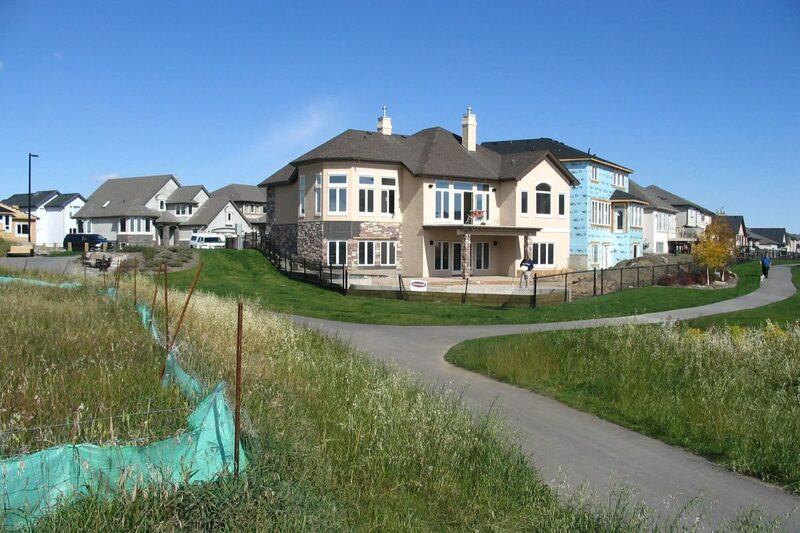 This newly constructed estate home, backing onto a parkland and overlooking the Bow River was a pleasant challenge to construct the landscape. 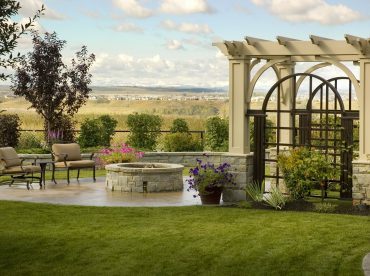 The traditional trellis is the focal point of the project and incorporates woodworking, wrought iron and natural sandstone. 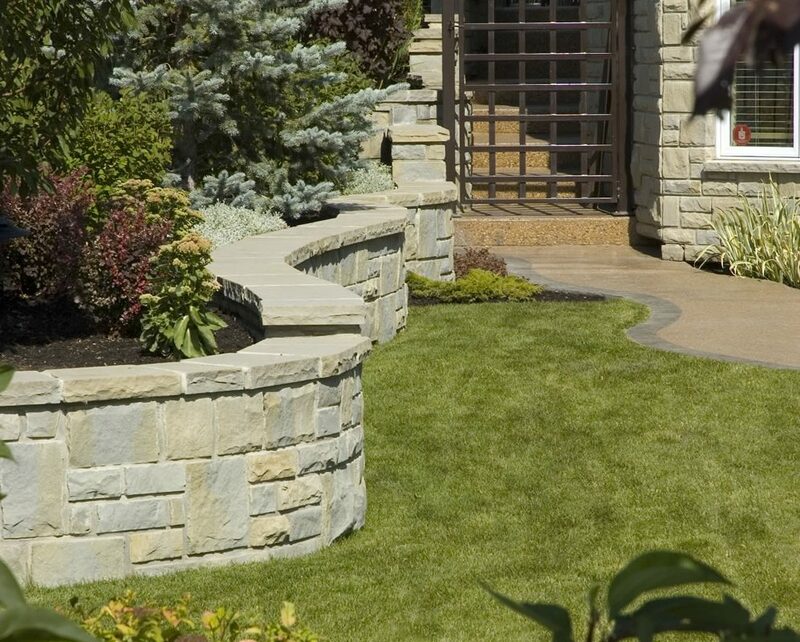 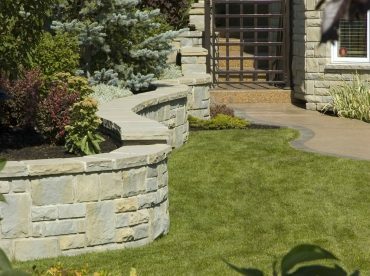 The stonework compliments both our landscape planters and stone on the home. 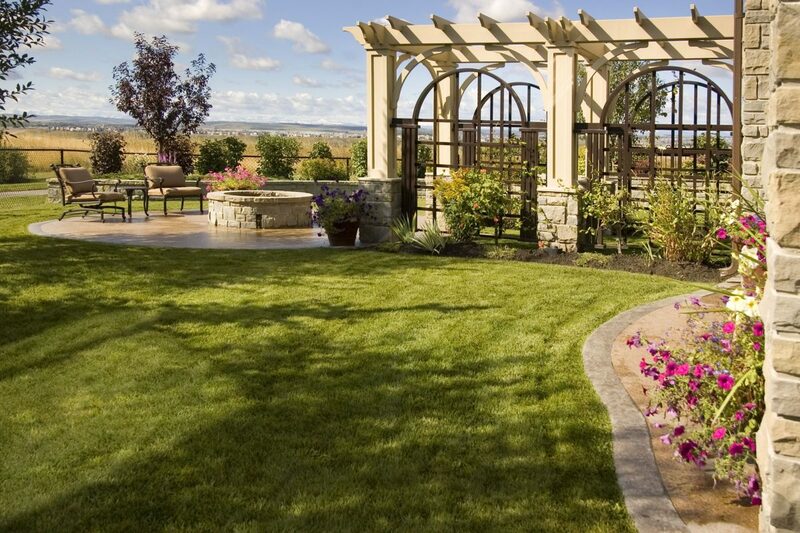 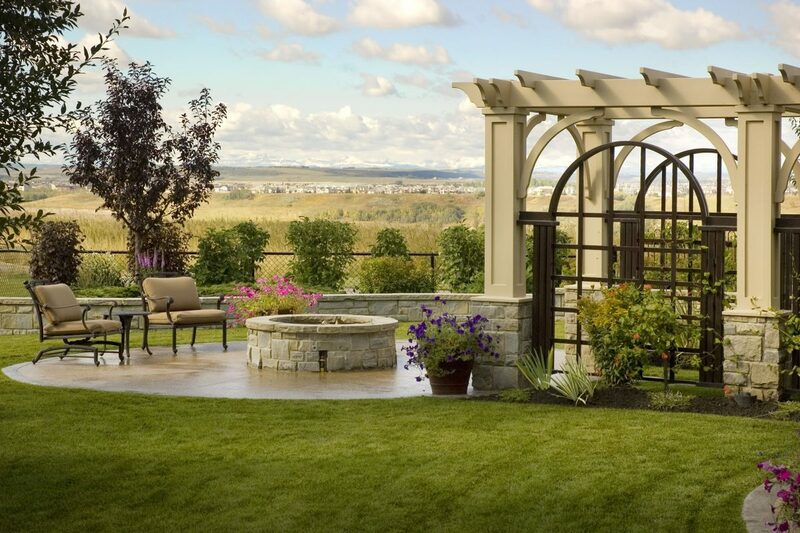 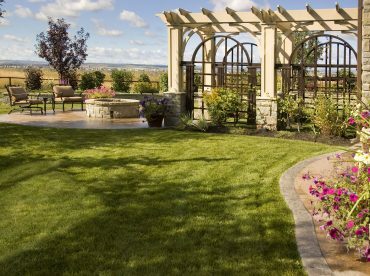 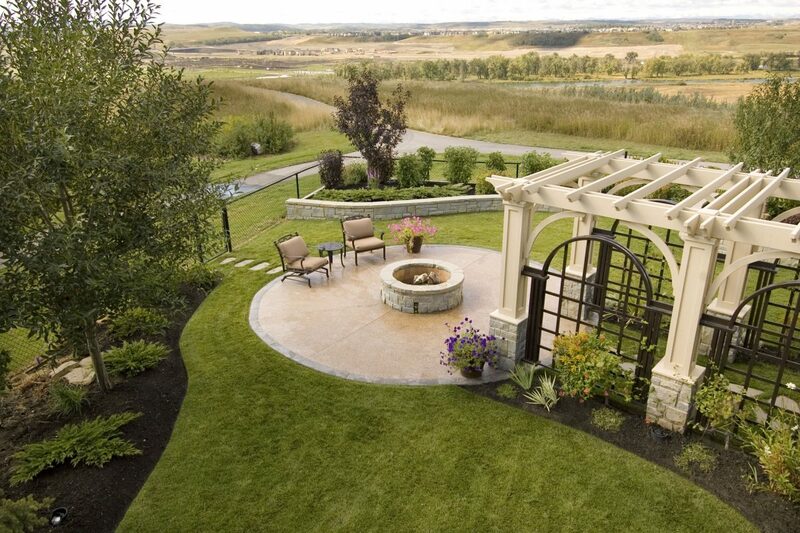 This trellis also provides a transition from the under-deck patio to a circular fire-pit and entertainment feature. 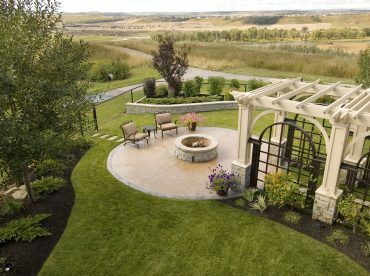 Large caliper deciduous and coniferous trees provide privacy, while the west side plantings were designed to allow an unobstructed view of the Rocky Mountains.